Two detailed project reports (DPRs) for management of horticulture waste and installation of smart bins in the city has got the green flag from the member of city-level technical sub-committee for Ludhiana Smart City Limited. Also, tenders for revamping of Sarabha Nagar market and development of Malhar Road into a Smart road have been ratified by the members. The process for installation of compost machines for handling horticulture waste at five locations in the city has been permitted. Taking assistance from these machines, the management of waste and preparation of manure for plantation in MC parks for civic authorities will become easy. Also, the authorities have envisaged installing the 100 smart bins in different locations of the city for which the DPR has been approved. 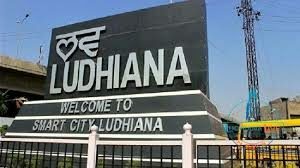 “In order to approve the tenders, the projects would be forwarded to the state-level technical committee, executive committee, and board of directors,” said Rahul Gagneja, Municipal Corporation’s Executive Engineer of Buildings and Roads department. Subsequent to this, it would be completed in precise time.